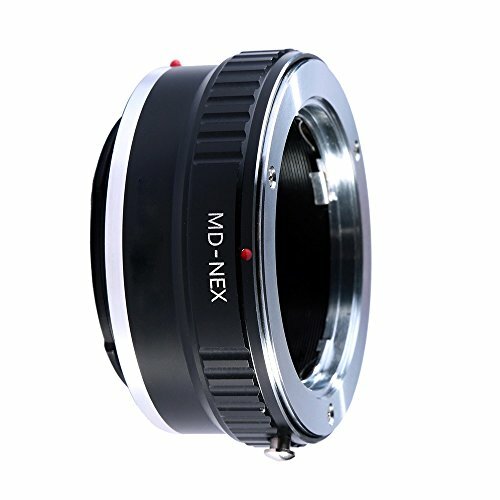 Adapter To Convert Minolta SR, MD, MC Rokkor Lens To Sony E-Mount For Alpha a7, a7S, a7IIK, a7II, a7R II, a6500, a6300, a6000, a5000, a5100, a3000 Mirrorless Digital Camera by HDStars at EISF. MPN: 321. Hurry! Limited time offer. Offer valid only while supplies last. FLEXIBILITY: Allows You to Mount Your Rokkor SR, MD, MC Mount Lens onto Your Sony E-Mount. INFINITY FOCUS: The lens will retain its ability to focus to infinity. ALUMINUM ADAPTER: The Aluminum Adapter Is Designed To Fit The Lens Securely. PLEASE NOTE: Autofocus, Automatic Aperture And AE Metering Will Be Disabled By The Lens Adapter As There Will Be No Electrical Communication Between Camera Body And Lens. View More In Adapters & Converters. If you have any questions about this product by HDStars, contact us by completing and submitting the form below. If you are looking for a specif part number, please include it with your message.